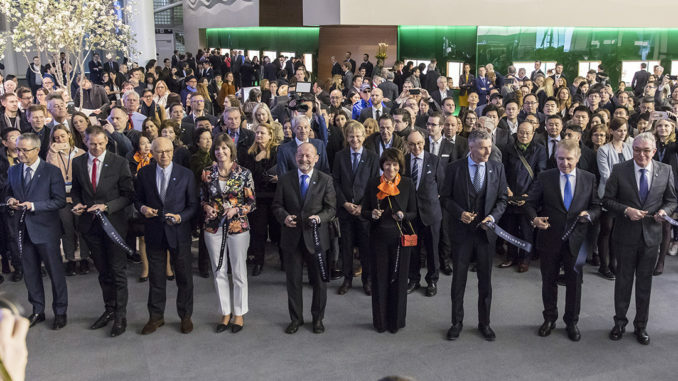 The 2018 edition of Baselworld, positioned as the world’s most important show for watches, jewellery and gemstones, drew to a close on March 27 after seven successful days. Most of the large watch companies Rolex, Swatch Group, Patek Phillipe, LVMH, Chopard, Breitling and Chanel present at the show have commited to 2019. Rene Kamm, CEO of the MCH Group described the show’s “present dimensions with 650 brands” as “optimal” and added, “We now have a tailwind for 2019”. Media reports suggest that while the sectors where large brands were present saw good footfalls and largely satisfied exhibitors, the response from other sectors and halls was more varied. Many exhibitors are reported to have indicated that business was comparatively not as brisk elsewhere, particularly for smaller brands, and those focusing on mass market jewellery, loose diamonds and gemstones. Baselworld authorities announced that next year’s show would be held from March 21-26, 2019. The organisers said that they will work with exhibitors to define new formats for the various sectors and will offer medium sized businesses a presence in the show in line with their needs”.